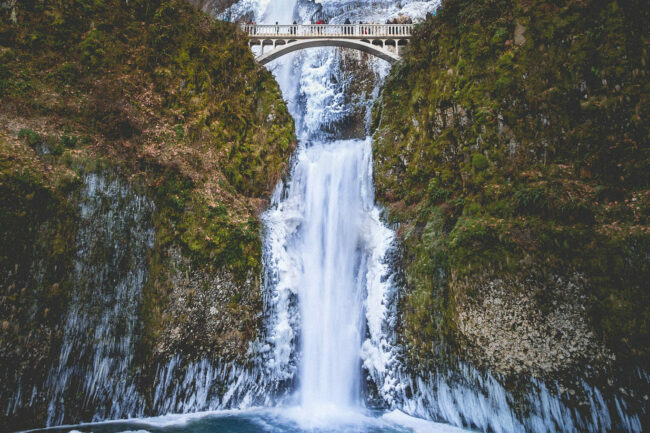 Directions: Multnomah Falls is the tallest natural waterfall in Oregon, located just 30 miles off Portland. This magical waterfall is one among many other waterfalls located on the Historic Columbia River Highway. It sits on the Oregon side of the Columbia River Gorge, located east of Troutdale, between Corbett and Dodson. 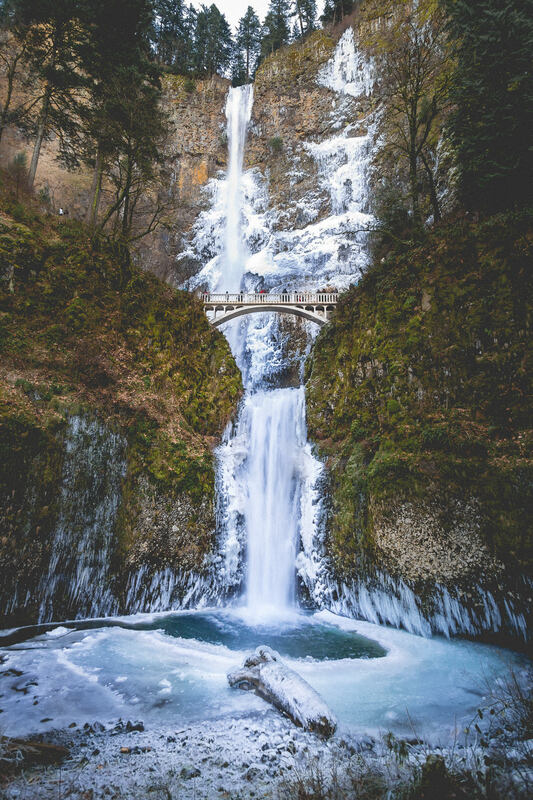 Multnomah Falls is fed by rainwater and snowmelt, making it a year-round tourist attraction. Most people come here during the day to enjoy the scenic view, especially the photogenic foot-crossing the span of the second drop of the falls, the Benson Bridge. The bridge is only a quarter mile hike up, and get really, really slippery during winter (which was when this picture was taken) due to freezing water droplets from the waterfall itself. Best view is from the observatory, where you can see a piece of log on the pool under, overlooking two the two drops and the Benson Bridge. Best way to photograph this wonderful spot is to set up your camera on tripod at the observatory, and using an ND filter to get long exposure shots of the waterfall. Tripod is allowed, entrance is free, and you can park directly across the waterfall. There’s also a tourist center with public restroom, food stalls and merchandises. Great location for photographers and families in general.